right, it is not free and be sure you need some time to read and to really dive into. 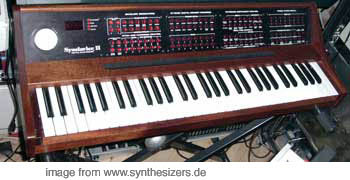 you may have some experience – I’d recommend to know your synthesis before – like you may have understood your Microkorgs, Jupiters and maybe some Dotcom classic synth or your nice old Roland 100m? yes – you matched to use them but you always thought there is more to squeeze out of it. 1) an introduction to all kinds of music relevant to „electronic music“ of all times since it isn’t just about synthesizers or electronic sounds nowadays, everyone can buy a nice app or purchase a synth for 350€-800€ and don’t ask for „electronic music“ which is as much information about the music as „i listen to music with guitars“. 2) anyway – get you copy and start with the music and even examples first, now it’s time for the first chapter – basics. here it’s getting a bit more academic – see all the waveforms, the modules and what they produce – here you go – filters, oscillators, just like manual but tells everything on the Nords components and modules to work with and what you may choose best..
later on – after all those standard modules you find small sets of modules that help to understand how they work and you just need to re-built in on the demo or your own G2, some of those may work on the old Nord Modular and Micro Modular, but this book refers to the G2. later on you’ll find how to model „patch panels“ like the MS20 had and how it looks like on the G2 – the whole patch – your screen may need at least the resolution of a current Macbook Air (1360) to see it all without scrolling sideways, but it’s all arranged well. there is an ARP2600, EMS Synthi A to be modeled as well – as far as structure goes, it won’t sound like them, it’s not about emulation (just to mention it here). additive synthesis is explained as well, and it’s not just some oscs assigned to a mixer and just some envelopes added, but almost some basic approaches to additive synthesis at a glance, and there is more formant and voice synthesis, AM, simple and more complex as well as FM of course ending up in a DX21, sync’ed FM, creation of waveforms by sequencers and everything you need to know about synthesis from waveguide to phase locked loops as an oscillator technique. it’s just SOME modules but you may want to know which one, right? yeaah‘ here you go! granular synthesis is in, too! I remember building my first granular synths on the G2, I had a different approach – so it’s nice to see another one… btw learn about what granular really meant in the sense of clouds and grains! no samples envolved! 4) now it’s getting more and more interesting and more special – there’s one chapter just on amp / ringmod, learn about brown noise to be fed into and make subtle noises, nut just NOISE! 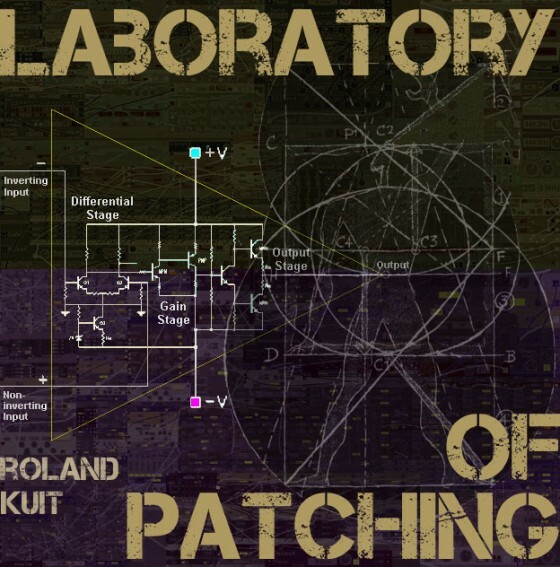 this is about electronic patching not just how to use a ring modulator and some bellish results. so why not making the echos more coloured, nebula kind of drone with some little random texture? here it is..
5) sample and hold is much more than just creating arpeggios, stepped random goodness – it can control envelopes to be triggered by very very certain sources of uncertainty! this is for all of you into glitch, IDM, experimental but also into textured drones and a lot more to be fuzzed, chaotisized in a gentle way, just not like on your old ARP2600, there’s much more since you got as many modules as you want – but most patches are not about the number of modules – it’s again what you might now get inspired again by some cool thoughts about randomness, stepps and triggering events by it! this may be another good chance to make the G2 sound more „analog“ as well..
6) algorithmic sequencing and simply changing sounds a different way (Microwave XT users may still love some of those XOR and OR to be attached to LFOs and filters or even oscillators: Logic Modules, this is what happens here, so it will affect sounds and composition structure and possibly makes you create a synth with just a few knobs that change sounds and melodies / patterns to more than variations and possibly mix those to become one interface for both! 7) audio processing doesn’t stop too early as well, there’s reverb simulations via Delays and now’s the time to plug ins drum loops, guitars and harps to be processed by filter banks, vocoders to make something that you may no longer make in guitar rig or buy another FX plugin. note that this is a 2 part book- so if you went for the 1st the second won’t repeat the 1st content, it is just like the other chapters – the more you dive in the more creative patches be shown – first things like using sync and wave wrappers with FM within 2-8 modules – just to show you another way to combine interesting osciilators – as long as it is about oscillators and filters this is the succession of where you left off – you haven’t had enough of what others do with their G2 or modular synths? this is a load of simple but helpful additions for a mix of all synthesis methods and how to start an interesting synth with that is NOT AT ALL a minimoog. same with sequencers and LFOs in the next chapter that introduces a lot of special modules like the DA converter to get very much „shaped“ and „organized“ random sources which will be valuable for your own sounds! pattern with clock delayed feedback – how does this sound to you? it’s still about 10 modules used, get some quantizers, delays, clock dividers and envelopes into the right place here! learn how to tune the chaos and add even more clever logic modules to get even 8stage tuned patterns and learn how and where to put those level modules to get the right trigger to and from those modules to get the trigger series you want – and tune it! audio processing and audio / shaping will be what adds coloured reverbs, matrix controlled delay stacks for spectral effects and vocoders with modal resonators (modal synthesis is also on topic with the release of Reaktor 5. (5) – it ends up with resonanting neurons and analog feedback and several methods to generate matrix glitches and shifts of any kind. 10) 8-Delay Feed forward filter feedback, 24 digital coefficients filter, 3D Logic sequencers, Digital Bode phaser. are made in here as well, you might be interested how these work and you will get an answer and working patch with this! so this one is not just a „virtual book“ it’s a load of patches that you can use and modify. yes, you may imagine – this wasn’t made over a week or some nights, this is some of the audio demos.. roughly. yes, it is 110€ each, discount for students and mass orders (10 or more) if you make a nice group buy, maybe start one in the forum!!! – it’s not „cheap“ in a sense of anything – but as you might just see from what I wrote about it you may get the idea whats behind it… – if you want to be on top into the G2 to be on the same level of reaktor, MAX/MSP and others but without the need of a computer on stage this may be the best you can buy. 2) the old Nord can do some but not all of this since it doesn’t has long delays and a lot of modules are different but some of it may be suitable enough to „port“ the patches to via brain! – re- patch it ! if you are german and want to get an easy to learn course you might still get my „hands on synthesis“ DVD at DVD-Lernkurs FIRST, – to be honest – this one starts where I left off!! that’s the truth! !